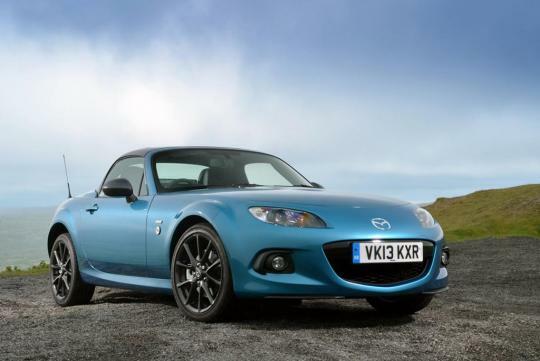 Mazda has launched the limited edition MX-5 Sport Graphite for the U.K. market. 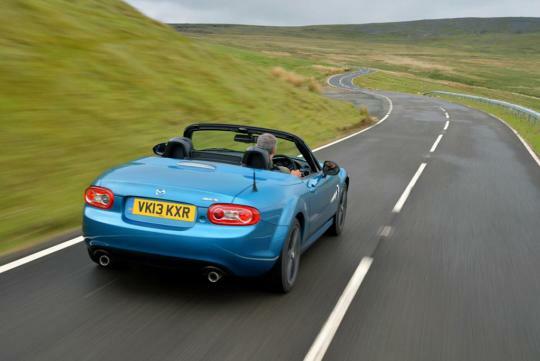 Only 500 examples of the roadster will be produced. The Sport Graphite comes in three exclusive colors, namely Zeal Red Mica, Aquatic Blue Mica and Aluminum Silver Metallic. It also comes with a contrasting Meteor Grey retractable hardtop roof. 17-inch dark gunmetal alloy wheels complete the exterior updates. On the inside, the occupants get pampered by black leather heated seats with grey stitching. 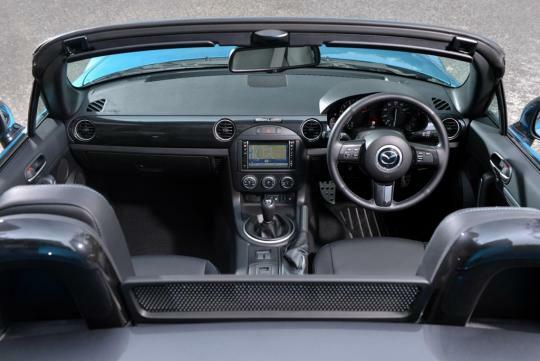 There�s also a 5.8-inch TomTom navigation with integrated Bluetooth, limited edition badges, grey stitching on the leather steering wheel and handbrake plus optional MX-5 floor mats. 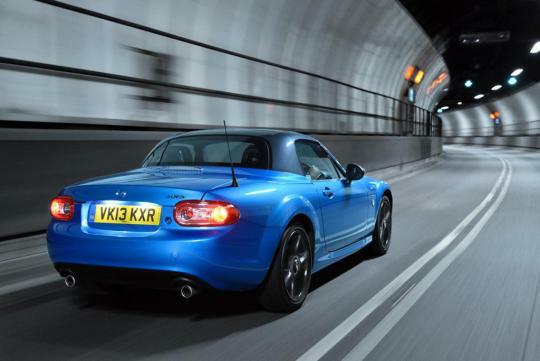 The MX-5 Sport Graphite can be ordered with either a 126bhp 1.8-litre or a 160bhp 2.0-litre engine. Additional safety features include Dynamic Stability Control (DSC) and Traction Control System (TCS). The 2.0-litre model will be equipped with limited-slip differentials. 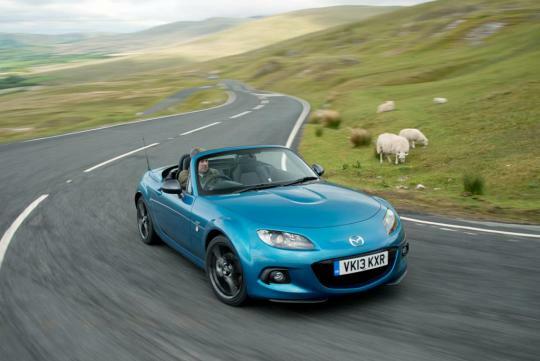 Since we are on the topic of the MX-5, we can expect the all new model to make its debut by mid-2014. Under the hood will be a turbocharged 1.3-litre four-cylinder from Mazda's Skyactiv family of engines.